I am not the kind of person who makes New Years’ resolutions. However, this year I’ve been trying to reduce my use of paper cups. I have a nice collection of coffee cups. 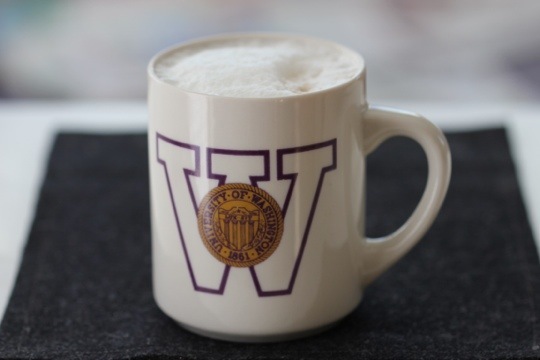 Today’s mug dates back to my days at the University of Washington in Seattle. My coffee drink du jour is a double breve with Truvia.